London - The FA has rejected Hull City's appeal against the decision to stop them changing their name to Hull Tigers but the Premier League club can reapply next season, the ruling body said on Monday. 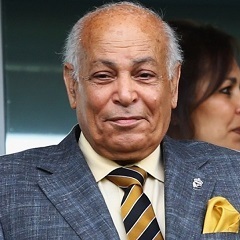 Owner Assem Allam tried to push through the name change last year but the FA turned the move down and, after the club appealed, the FA Council confirmed they would continue to be known as Hull City for now. "The club raised a number of challenges during the course of the arbitration," the FA said in a statement. "These included a competition law challenge, arguments that the FA had failed to follow its own rules and a challenge to the process undertaken by the FA in respect of its name change application. "The club was not granted relief by the tribunal in relation to any of these points." Egyptian-born Allam threatened to sell the club if they were not allowed to change the 110-year-old name in order to attract more overseas investment. Hull will "remain able to pursue a playing name change for the season 2015-16," the FA said. The team managed by former Manchester United defender Steve Bruce are sixth from bottom following Saturday's 0-0 draw at Leicester City.